All the latest news on what's happening in school can be found in The Bulletin. Please click on the link above for latest news. Welcome to our happy and vibrant village school. We are part of the community of Burford, a growing Shropshire village, separated from the market town of Tenbury Wells (Worcestershire) by the River Teme which acts as the County boundary. The community is set in the beautiful rural Teme Valley. 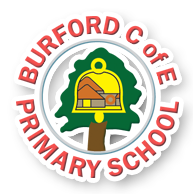 At Burford Primary School, our aims are for happy, caring and achieving pupils who experience 21st century learning. Centered on our Christian ethos, we foster respect for each other and the world around us. We offer a broad and exciting curriculum with a clear focus on developing the basic skills. We have strong teaching and support staff who are committed to raising achievement. Adjacent to our modern building is an adjoining playing field of approximately two acres, exclusively for the use of the children. Within the school grounds is an adventure trail for use at playtimes, a pond, an area designated for "Forest Schools" and an outdoor classroom area specifically for Early Years children. There is also a separate Pre-school which is privately owned, with very close links to the school. We enrich the curriculum with school trips and residential visits, which the children take great delight in. Our philosophy is that children achieve when they can experience and practise skills in a real-life context. Please feel free to contact the school and make an appointment to visit our school. We are sure that you will receive a warm welcome! 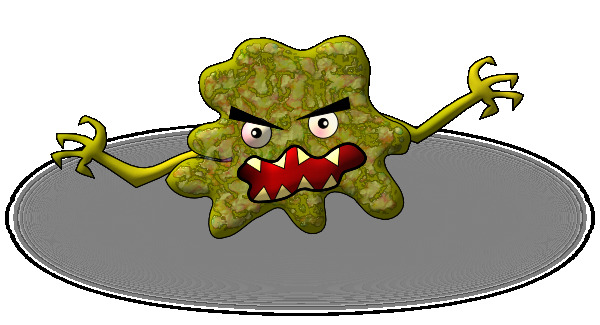 If a child has diarrhoea and/or vomiting symptoms they must stay away fromthe school until they have been free of symptoms for 48 hours (the ‘48 hour rule’) and feel well. If your child is sick at school, we will ask you or your emergency contact to take your child home. They should not return for 48 hours. We appreciate that this is inconvenient in many cases, and you may not believe your child is ill, but you will appreciate that we do this in all cases and it should reduce the risk of infection for all children in school.